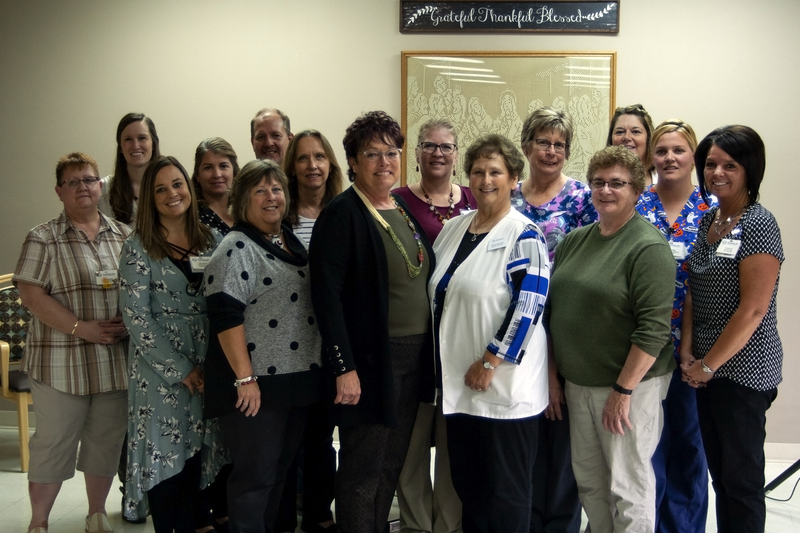 North Shore Healthcare celebrated the success of Randolph Health Services on their third consecutive deficiency-free annual survey with a luncheon and recognition presentation. 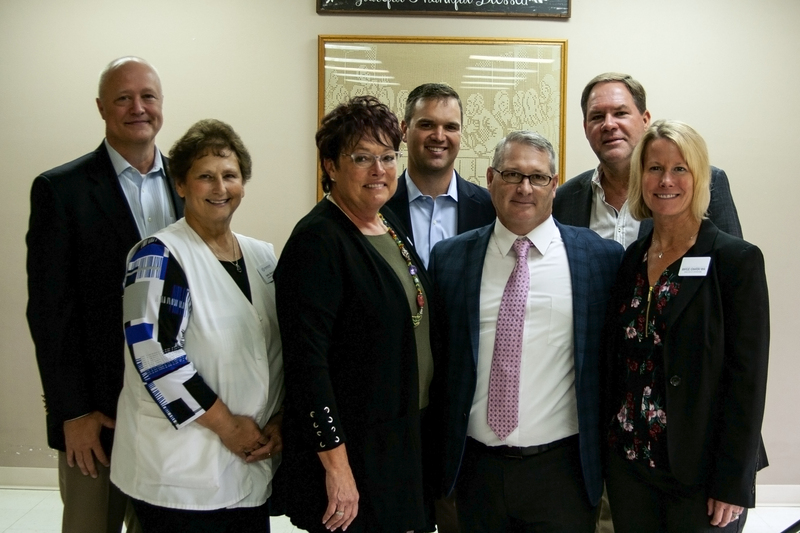 Many members of Randolph’s team and the North Shore support center attended the event that included live music, a catered lunch, and special presentations by North Shore’s CEO David Mills, COO Jim Palculict, and the center’s Executive Director JoAnn Evans. Randolph Health Services achieved deficiency-free annual surveys from the Wisconsin Department of Health Services three years in a row. This is a rare accomplishment in the long term care industry, and one that offers the center great distinction as to the level of care provided. As a way to show appreciation to the staff, each member received a thank you letter with a bonus. Evans received special recognition for being the Administrator at Randolph for the past seven years, and a member of the team for over 40 years. 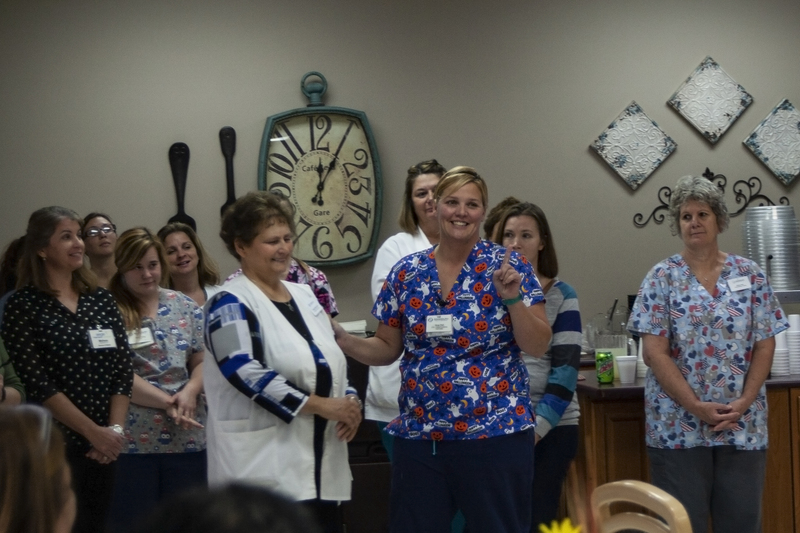 Mills said of Evans and the success of her team, “her commitment and dedication to all of her staff, to our residents, and to making sure we’re doing it the right way, every day is evident.” Sally Borzick, Director of Nursing, received on-the-spot recognition from her nursing staff. Sally has been at Randolph for over 25 years and has earned the respect and adoration of her coworkers due to her commitment to the center and for putting in the hours necessary to make sure her residents feel like they’re family. Congratulations to JoAnn, Sally, and the entire Randolph team on this great achievement.